A prominent neurosurgeon and CNN’s Emmy award winning chief medical correspondent. KAMLESH D. PATEL is known widely as Daaji. 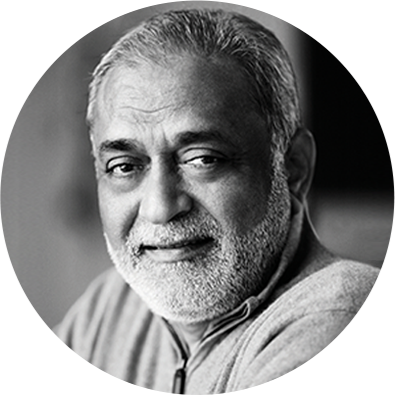 His teachings arise from his personal experience on the path of Heartfulness, while reflecting his deep spirit of enquiry and respect for the world’s great spiritual traditions and scientific advancements. Daaji practised pharmacy in New York City for over three decades before being named the successor in a century-old lineage of spiritual masters. Fulfilling the many duties of a modern-day guru, he travels widely, extending his support to spiritual seekers everywhere. A self-professed student of spirituality, he devotes much of his time and energy to research in the field of consciousness and spirituality, approaching the subject with scientific methodology – a practical approach that stems from his own experience and mastery in the field. The Heartfulness Way is brilliant. Patel and Pollack have expertly addressed the most pressing need of our time — the full opening of the human heart. Consider this book as an elegant meditation toolkit for humanity, suitable for one and all, with the power to transform chaos into calm, anxiety to ease, and hatred to loving-kindness. It offers the means to experience the power, grace, and potential of a heart in full bloom. This gem gives solid advice: meditate, relax, cleanse, pray heartfully. Using anecdote and direct instruction, this book provides effective tools for transformation, to be applied in daily life. “Since 2000 when, as Beavercreek Mayor, I officiated the grand opening of the Dayton Heartfulness/Natural Path Meditation Center, I have been a major supporter of this valuable community resource that provides free training in Heartfulness relaxation and meditation not just locally, but also globally! The local Heartfuness center now services hundreds, including many of our community’s first responders. In my many decades as a management consultant to governments and Fortune 500 companies alike, I have realized that the external success of any organization depends on its internal health and integration. Similarly, the external success of any individual depends on their own level of personal integration and wellness. When you’re too caught up in your own problems, you can’t achieve anything great! But how to achieve that crucial level of personal integration and wellness? I have personally found Heartfulness meditation to be a critical tool in this regard. Through it, the heart assumes an executive function, and all of our faculties become aligned with it. When all of our energies are aligned in their purpose and work in a single channel, we become focused and empowered. As a result, we become effective. And because we are guided by the heart, we also express a deep and natural morality in all that we do. The Heartfulness Way masterfully demonstrates how to achieve personal integration, and should be indispensable to anyone who is serious about self-development. A deep and profound message shared in a way that is simple, beautiful and inspiring. As Leonardo da Vinci once said, “Simplicity is the ultimate sophistication” and this book has that quality. Recommended both for people that already walked a long way in the field of spirituality, as well as for those who are taking the first few steps on going “from the complexity of the mind to the simplicity of the Heart. Human Flourishing Facilitator, SIY Certified Teacher (Mindfulness-Based Emotional Intelligence) .. Author of Making A Difference with Your Presence, president of the Gestalt OSD Center, and recipient of two Lifetime Achievement Awards for contributions to the field of applied behavioral sciences. Kamlesh D. Patel’s work, The Heartfulness Way, will be of interest to anyone wanting to live their life focused upon, “What really matters”. While acknowledging that everything matters Kamlesh, affectionately addressed as ‘Daaji’, identifies what he believes matters most to seekers interested in their spiritual development and in living life to the fullest. to be in balance rather than seen as a binary choice. The implicit and underlying message of the book is that Harmony is possible. The peace and union we seek is within us and accessible with correct practice. speaks to the importance of addressing with awareness and choice what appear as conflicts in our everyday lives. Union, cohesion, harmony and peace emerge from healthy orientation and resolution of choices. The body, mind and spirit, according to Daaji, is self-correcting when there is balance and connection to the Source. practice and their experience of living life. Professor of Neurosurgery at Stanford University School of Medicine; Founder & Director, The Center for Compassion and Altruism Research and Explanation (CCARE);.. The Heartfulness Way offers an eminently clear and practical path to the Divinity that lies within each of us. Highly recommended. This book is a special resource as an intro to this beautiful method. Reading it feels like one is receiving the benefits of the method of meditation on the heart. If one has ever had any curiosity about spirituality, this book, written in a conversational format, is an incredibly useful conversation to eavesdrop on! ❤ fulness. ✌ and  for oneself will join you into learning how to become the person that ypu always wanted to become! Namaste and Jai Bhagwan. Read it once, twice and many times again and again. Absorb and take in the beautiful messages. Very handy and helpful. The book is very valuable to apply ion our daily life to see transformation change. Everything in life is about having the right attitude. Even meditation becomes just another activity when one lacks that, and this is irrespective of religious or personal beliefs. The authors have beautifully let this understanding emerge in this book. A must read for all especially who want deeper understanding of higher Self. The Heartfulness Way elucidates how by meditation we shall be able effortlessly and naturally to still the mind and discover the unchangeable eternal source of existence within our own hearts. The Heartfulness Way is a work of art. Daaji beautifully captures the essence and power of spirituality. This authentic book will transform your life. Integer nec odio. Praesent libero. Sed cursus ante dapibus diam. Sed nisi. Nulla quis sem at nibh elementum imperdiet. Amazon – Seattle: 100 in room, 270 through live stream. Amazon hosted a heartfulness event titled, ‘Science and meditation’ a possible intersection for its employees, where Mikey Siegel a robotics professor from Stanford University along with Joshua Pollock had a conversational dialogue on how Technology & Science can exist in harmony supporting each other, allowing us to go deeper within ourselves. Microsoft, Redmond: 100 in the room, 70 through livestream. Reach out: Around 10,000+ people in Microsoft received email on corporate account, Flyers in all buildings, social media. It was held in a room in the central cafeteria known as The Commons.There was a dedicated internal site created to provide details about the event It also highlighted Josh’s video and the book The Heartfulness Way. Around 300 posters were hung in various buildings surrounding the venue. The email invitation was sent out to various official and unofficial channels reaching thousands of people. Google, Kirkland: 25 in the room + 45 in remote offices or live stream. Reach out: Around 6000+ people received email on corporate account, flyers on coffee places, TV and internal sites. Google hosted a heartfulness event titled, ‘Heartfulness Meditation – a Productive Pause’. Employees from various offices as well as various countries participated in the event. We have presence from New York, Mexico City, Argentina as well as California. Event went very well. Br Josh also met with current Heartfulness practitioners in Google. We have recorded the event and planning to broadcast on Google Internal Meditation portal. Reach out: Around 6000 people received corporate emails, Flyers were put up on 90 inch screens in HQ hallway, 4000+ people were reached out internationally via Slack messaging!. Micron, Boise: 100 in the room, Email sent out to around 2000 people, digital signage throughout 24 buildings in Micron, call out for 4 days in the company website that is accessed by 8000+ people. The Event was spearheaded by the Micron Women Leadership network and was part of 5 other events during this week to celebrate international women’s day. This avenue allowed us an opportunity to reach out to a bigger audience. The audience size exceeded our expectations. Many in the audience had tried other types of meditation also. The hour long program was insightful and refreshing. We conduct twice a quarter Heartfulness brown bags in Micron and many of these attendees attended along with regular practitioners of Heartfulness. We had an introduction and welcome from a representative of Boise Chamber of Commerce. Then, Josh gave a talk for about 45 minutes, followed by a meditation. He then answered a few questions from the audience. This led to a discussion of cleaning, so he led the group in a short demonstration of that practice. We ended the evening with a book signing (providing a complimentary book for each attendee). 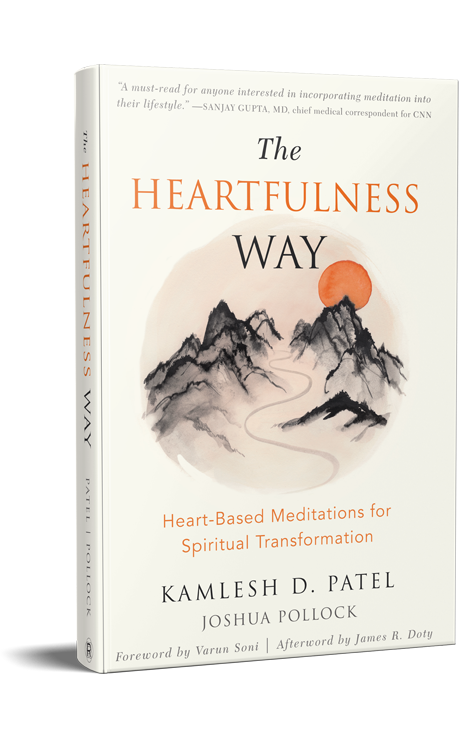 The Heartfulness Way is a book that takes the reader on a journey from the complexity of the mind to the simplicity of the heart. Penned by co-author Joshua Pollock, it is a book that contains lessons given by Daaji Kamlesh D. Patel. 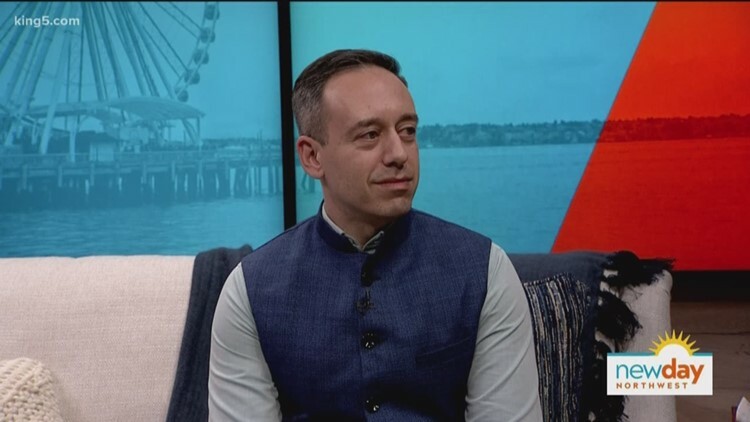 Travis is joined by Heartfulness trainer and practitioner Joshua Pollock, talking about a systematic, comprehensive, and detailed understanding of how to approach life with Heartfulness. Heartfulness is a contemporary version of the ancient Indian practice of Raja Yoga. Mark Phillips shares practical solutions for enhancing the human experience. Expect to discover the best in personal development techniques, strategies, and practices to help get the most out of business and life. 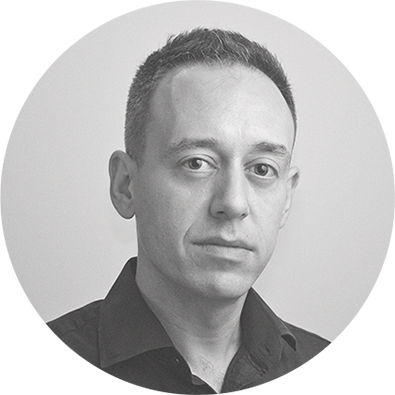 With a strong focus on manifestation, metaphysics, and the creative power of thought, Mark discusses the inner and outer causes of health, wealth, and success in life. He routinely invites guests from diverse backgrounds to join him on the show. Mark is the author of three books.